Is Java is Pure Object Oriented language? 7. All user defined types are objects. If you look at these seven qualities, Java does satisfy most of them. Java supports Encapsulation at class and package level, It supports Abstraction, Inheritance and Polymorphism, and all user defined types are also objects. What it doesn't support is #5, all predefined types are not objects in Java, because you can define primitive types. This means it also violates #6. That's why Java is not a pure object oriented language. Why Java is not Pure Object Oriented language? Smalltalk is often considered one of the purest Object oriented language and comparing Java with Smalltak will give you sufficient reasons, why Java is not 100% object oriented language. Following point makes sense to me. On closing notes, You can make your program pure object oriented by using Autoboxing, but Java compiler supports primitive data types, so Java cannot be Pure object oriented unless it makes everything in terms of objects. In short, Java is not pure object oriented programming language because it supports primitive data types and everything is not object in Java. Let me know what is your thought on this, do you consider Java pure object oriented language? 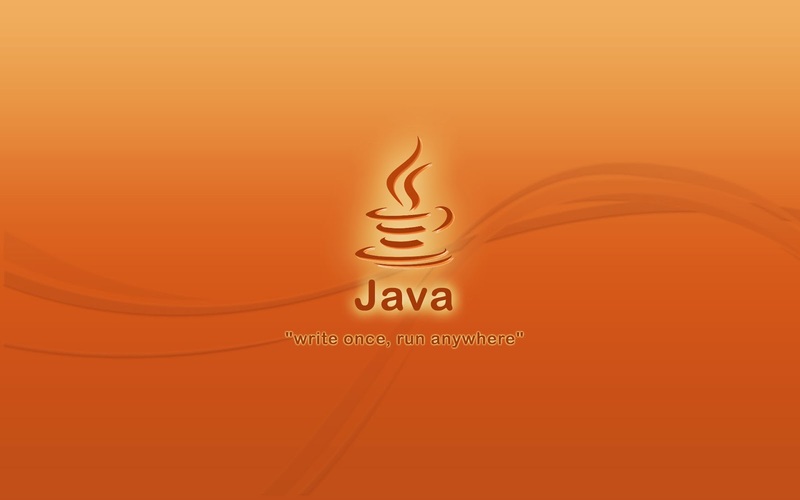 If not, can you think of reasons due to which Java is not 100% object oriented language? The most important reason that java isn't OO, in practice, is the overwhelming use of DataObject/ActionObject bifurcation. It's just FORTRAN with lower case syntax. Actually, the way to go for a programming language is to mix various programming paradigms. For example Java is now an object-oriented language with elements of functional programming. Since primitive types are heavily used in the Application making them object degrades the performance of the application as Objects are heavy compared to primitive types .So It is a good decision from the java guys to not to make primitive types as objects. "making them object degrades the performance of the application as Objects are heavy compared to primitive types"
not necessarily true. It just pushes the burden of optimization to the programmer. Making them syntactically an object and then letting the compiler optimize them to primitives is a far more productive (and potentially less error prone) way to achieve this c.f. scala where all types are considered "objects" but where possible the compiler implements the code using primitives automatically. because even though there are wrapper classes, the primitive types still are there. also, the use of static is not OO . you can call methods and use variables without having an object. oh god, what the hell ??? is it very important whether java is a pure OO language? java is cross os platform and easy to learn , so we can implement an application rapidly, and we dont have to consider the cross os issue. i think this is the key point. I think so Tom! and that's what really matter. Hi @Tom and @Reynier silverio, this question is mainly for purist, but some interviewer do prefer to ask, why Java is not a pure object oriented language or which language is considered as purest object oriented language etc. It's a topic of discussion, but things happens. bro the purest oop langu is smalltalk. But java supports Autoboxing which clearly box primitive to wrapper, then how could it stops java from being pure Object oriented. Somebody please make this concept clear to me. @Unknown, there are many things in Java which are not as per object oriented programming concept e.g. static variable. In Pure OOP, every thing should be object, nothing should belong to class. Even if we have primitives, java will do Autoboxing by itself. So primitives will be converted to Objects. How it is violating OO concept. Java is not a pure Object Oriented Language! It's because it supports primitive data types. Moreover, it does not support some features like operator overloading and multiple inheritance. The Straight answer is Yes, Java is Object Oriented. Without creating classe(s) and/or Object(s) we cannot achieve any functionality in java. That's why the makers of java told EVERYTHING IN JAVA IS OBJECT.